The difference between the siblings of local celebs and the siblings of Hollywood celebs is popularity. If we take a look at the Kardashians, the Jenners or the Olsens, they are all borrowing and riding on each other’s popularity even though all of them have their own careers. However, the siblings of local celebrities are independent and able to stand on their own feet without riding on their celebrity sibling’s popularity. Let’s take a look at the popular celebrity siblings in Malaysia! These brothers are the sons of veteran actress Khadijah Tan, who was famous for her role in the long-running local sitcom, “Pi Mai Pi Mai Tang Tu”. Pierre Andre began his acting career through the horror film “Potret Mistik” in 2005, and now the actor has turned into a director. His 23-year-old brother, Mikail Andre, is now working hard to follow in his brother’s footsteps. These brothers truly have the blood of artistes running through their veins. Both brothers started their career as actors in order to learn the intricacies of the film world. 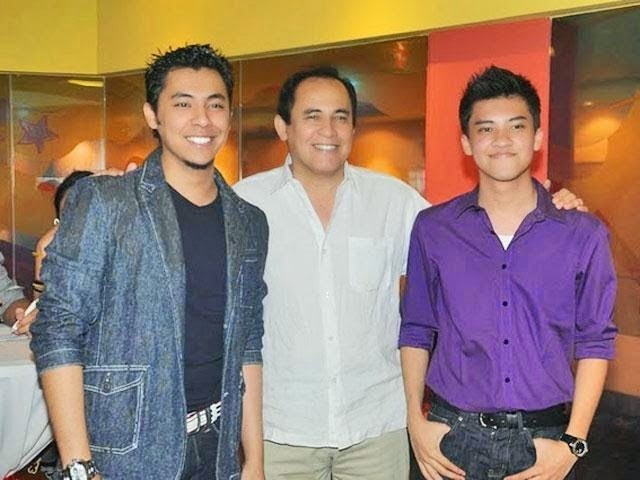 The brothers aim to follow the footsteps of their father Yusof Haslam, who is a famous actor and director. Furthermore, these two young directors have already won several awards for their works. As the saying goes, like father, like son. The Loy siblings truly are cut from the same cloth as all three of them started acting since they were young. The trio has shown great talent even from a young age. Although as the eldest, Elfira shines the most among her siblings, but the two younger Loys never envy their sister; instead they give her their full support. Ezlisa and Ezzrin once acted together through the educational TV programme, "Oh! My English". 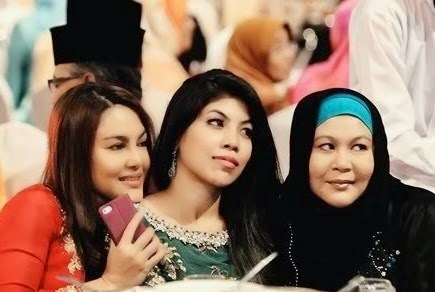 The daughters of Ismail Embong are all equally beautiful and talented in acting. At first, the public only recognised Chacha and Emma, but soon after that, their older sisters Yaya and Shikin began to gain prominence among the public, too. 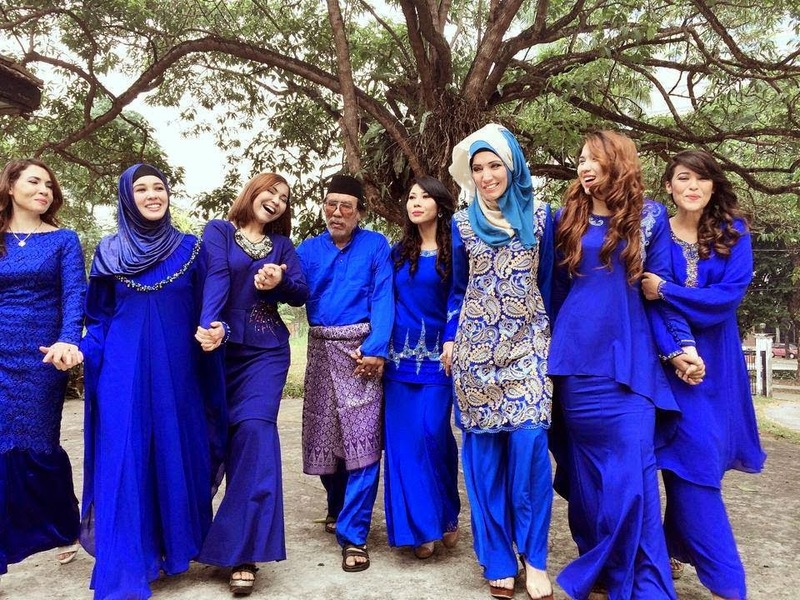 The Maembong siblings are frequently asked questions regarding their personal relationships, such as recently when there have been issues involving Chacha and their father. But all's well that ends well, because no matter what, blood is thicker than water. Eira Syazira created a name for herself when she landed a nerdy role in one of TV3 dramas many years ago. She then went on to become arguably one of the top choice actresses often chosen to act in many drama roles. 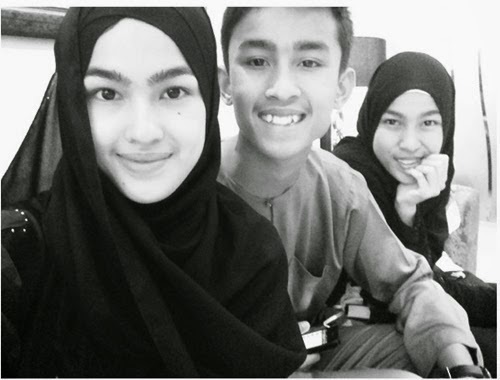 Now her younger sister, Syafnida, is following in her footsteps and has made her debut in the TV3 drama “Cinta Illahi”. Moreover, Syafnida also acted with her brother-in-law Azad as husband and wife. The sisters’ faces are so strikingly similar that they can pass of as identical twins. Who doesn’t know the local heartthrob Farid Kamil, one of Malaysia’s favourite heroes in movies? His brother Fadzil Zahari started to gain attention when he married popular actress Yana Samsuddin. Many may not realise but Fadzil is also an actor. He was initially a personal assistant to his own brother before he started dabbling in scriptwriting. His screenplay credits include "Kongsi" and "Bini-biniku Gangster". These are a pair of gifted siblings, indeed. When it comes to looks, both brothers definitely inherited the good-looking genes. 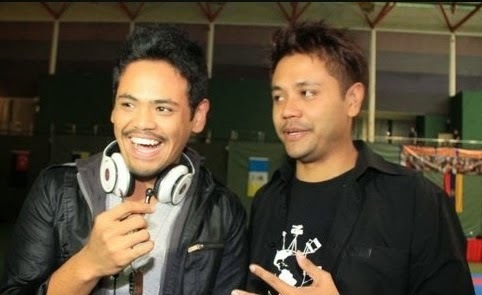 Alif Aziz is definitely not an unfamiliar name in the Malaysian music scene though he hails from The Lion City. It doesn’t hurt that his dashing and charming looks help secure his place in the local entertainment industry. 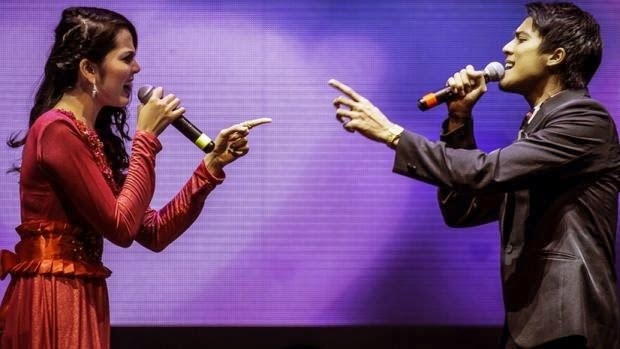 His sister Aishah Aziz became a star through the Malaysian reality program “Akademi Fantasia” in 2013, and is now gaining more popularity in the country. The two of them are no doubt a complete package; talented as singers and entertainers. Actor and radio presenter, Sharifah Shahira, needs no introduction in the music industry because she is famous locally for her fun humour and jokes. Sharifah Shahira has a sister named Sharifah Haslinda, who was an actress in the ‘90s. Now, their youngest sister Sharifah Sakinah is following in the footsteps of her two older sisters, becoming an actress as well. But unlike her sisters, Sharifah Sakinah’s name became viral among the public due to her antics on her social media site. Many may not know that Erma Fatima and Umie Aida have a younger sister named Betty Rahmad, who is now beginning to appear more in films and dramas. One of the dramas she acted in is the popular local series "Adam dan Hawa". However, it is a little known fact that Betty actually started her acting career when she was only 9 years old. 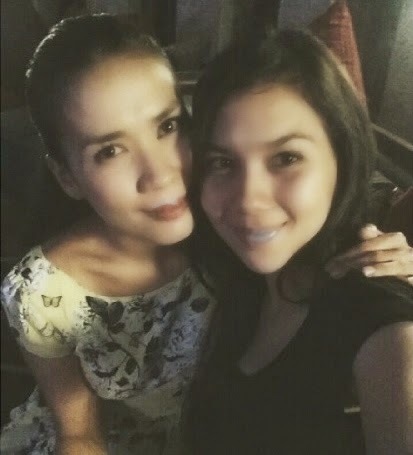 It can be said that Betty is just as talented as her sister Umie Aida, as she can both sing and act as well. There is no doubt that these three sisters have great talents.